Myrtle Beach, S.C. is one of the top relocation areas in the country. 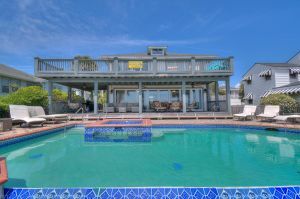 There are many reasons for so many to want to relocate to Myrtle Beach. The mild Myrtle Beach weather, southern hospitality and approximately 100 beautiful Myrtle Beach golf courses make it a very attractive retirement area. Living on a beautiful golf course is a dream for many and Myrtle Beach has so many outstanding golf course communities to choose from. Crow Creek Golf Club in Calabash, N.C. is one of the many choices. Crow Creek is located just across the state line in North Carolina and is only a few minutes from North Myrtle Beach. Crow Creek is built on an old homestead of over 500 acres and over the decades has evolved into a beautiful residential area that surrounds an outstanding Rick Robbins designed golf course. The clubhouse at Crow Creek is exceptional and features a well stoked pro shop and a full service bar and restaurant. 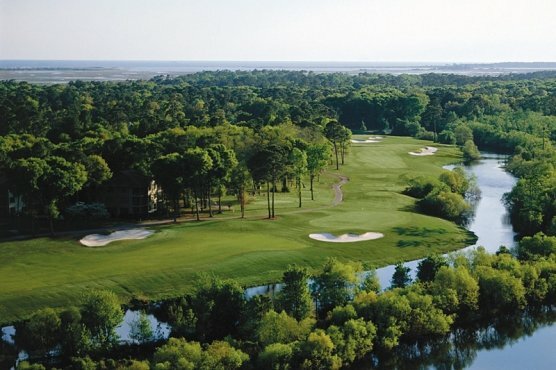 Since its opening in 2000 Crow Creek has been one of the most popular course requested in Myrtle Beach golf packages. The well maintained golf course features tifsport Bermuda grass fairways and A1 Bent grass greens. This popular golf course is enjoyed by visiting golfers as well as locals. The Crow Creek homes are constructed by the area’s Premier Builders with the commitment to quality construction, attention to details and customer satisfaction. There are models and homes under construction for you to view and make the perfect choice to fit your needs. The Crow Creek ACC works closely with each builder to ensure that Crow Creek Architectural Design standards are maintained and to make sure that the house of your dreams, become reality. Select your home site that might feature beautiful lake views, lush fairways or greens and natural settings. Design custom plans or revise plans to fit your lifestyle from 1900sq. ft. up to 6000. Begin construction and prepare to move into your dream house. Lounge area for socializing around the fireplace or watching a movie on the large screen TV. Meeting/ private social room with tables and chairs complete with hard wood dance floor and sound system accessible. Game room equipped with Billiards table, Ping Pong table, air shuffle board and poker/card tables. Wellness/fitness center with the latest in strength and cardio equipment. Outdoor zero entry pool with designated lap lanes; separate Jacuzzi. Wireless internet is available throughout the complex. Miles of sidewalks for waling or biking throughout the community. Welcome gates for resident’s peace of mind. Discounted golf rates for residents and their guests year round. Residents have established may social groups that include golf groups, special interest groups and other social events.